Designed for multi-pool care defense and protection, the system benefits from the addition of poolife® Brite Stix® sanitizer (step 1). This stick-based sanitizer clarifies and softens your water with a controlled delivery system for brilliant protection and clarity that can last up to two weeks. Chlorinate and clarify with poolife® Brite Stix® sanitizer. Shock treat once a week with poolife® TurboShock® shock treatment. Prevent algae with poolife® Defend+® algaecide. Designed for multi-pool care defense and protection, the system benefits from the addition of poolife® Brite Stix® sanitizer (step 1). This stick-based sanitizer clarifies and softens your water with a controlled delivery system for brilliant protection and clarity that can last up to two weeks. Watch this video to learn more. Leave the complicated decision making at the office and escape to your own backyard. 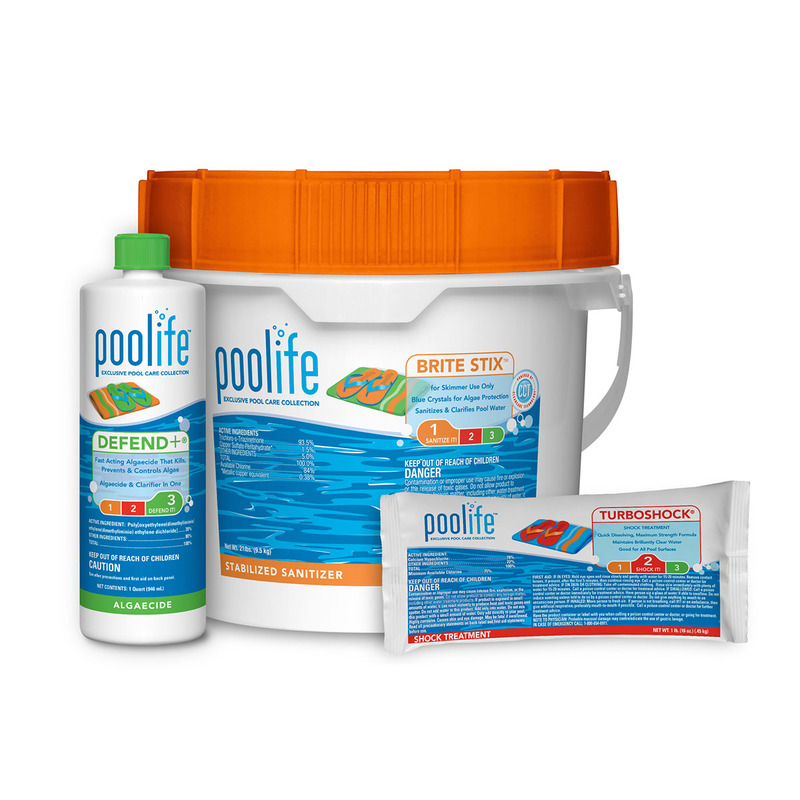 poolife® Pool Care Systems include all the poolife® products you need to ensure sparking-clean water all summer long. Your professional poolife® Dealer will help you select the system that’s best for your pool and your lifestyle.